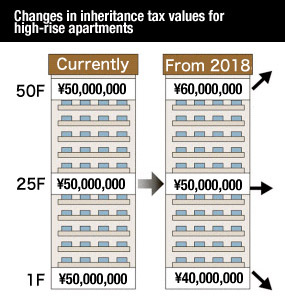 The National Tax Agency and the Ministry of Internal Affairs and Communications are considering introducing changes to the tax valuation of apartments in high-rises to counter-act a growing trend of wealthy Japanese buying up apartments on high floors to reduce their inheritance taxes. Changes could be introduced from as early as 2018. When calculating inheritance taxes, assets such as cash and shares are valued based on their face value, while real estate is valued based on its ‘rosenka’ tax value which can be much lower than the actual market value. For apartments in a high-rise building, the tax value is currently based on both the size of the apartment and the rosenka value of the small share of land. 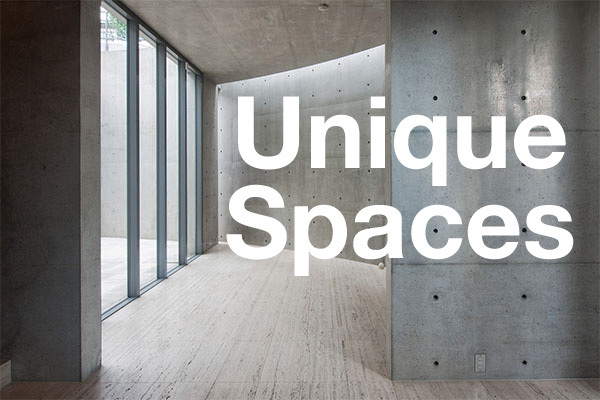 Tax values do not take into account the floor, views or facilities, so an apartment on the 2nd floor would have the same tax value as an apartment on the top floor, assuming they are the same size. The top floor unit, however, has a market value much higher than the lower floor unit. 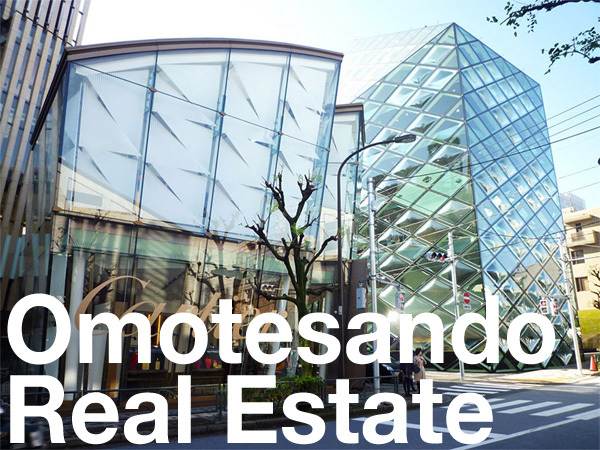 For an apartment with a market value of 100 million Yen, the taxable value for inheritance taxes could be as low as 30 million Yen. The higher the floor, the greater the tax reduction. Heirs can therefore receive a relatively small tax bill, and then sell the inherited real estate at its full market price. From January 2015, the inheritance tax rates were increased while tax deductions were reduced. This led to a flurry of activity by wealthy Japanese who were quick to convert their assets to real estate by buying up apartments on high floors. Most of the major estate companies started offering seminars on inheritance taxes and encouraging clients to park their cash in high-rise apartments. The changes to the tax valuation system could result in apartments receiving different values depending on the floor. For example, a unit on the 20th floor might receive a tax value that is 10% higher than a unit on the 1st floor, while a 30th floor unit might be valued at 20% more. There are fears that any sudden and steep increase in tax values could put a damper on apartment sales. Both the Ministry and Tax Agency are working on a system that will minimise the impact on the property market. Source: The Nikkei Shimbun, January 24, 2016.